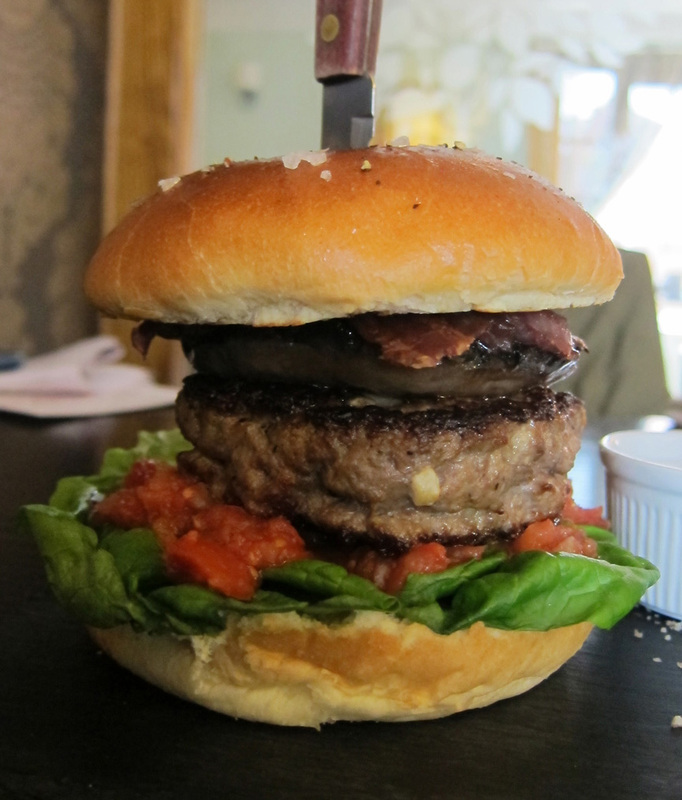 Living in London means there’s no shortage of great places to go to get a good quality burger. From your Dirty, to your Honest, the craze for burgers shows no sign of slowing down and that’s just fine by me – I love a juicy fat burger! So much so, that I recently took a three and a half hour train ride to sample some. Destination? Wrexham. Over the course of two days I got to try four of the entries. My favourites in order were: The Lemon Tree’s offering made with Rob Platt’s Minera reared steak stuffed with Perl Las blue cheese, with Portobello mushroom, pancetta and tomato concasse. It was a oozy, smoozy, messy eat, but a damn good one. A soft cracked black pepper and broche bun could just about contain the juiciest of burgers with spot on flavour combinations. Next up, and a very close second, The Holt Lodge Hotel’s burger made a Home Farm Overton Pork patty, a homemade BBQ sauce with Home Farm pulled pork, spring onions and Wrexham lager battered leeks. Super succulent, super tasty and super moreish. The lodgings here are also worthy of a mention, where you can digest and rest in one of their very comfortable rooms priced from £64 per night. 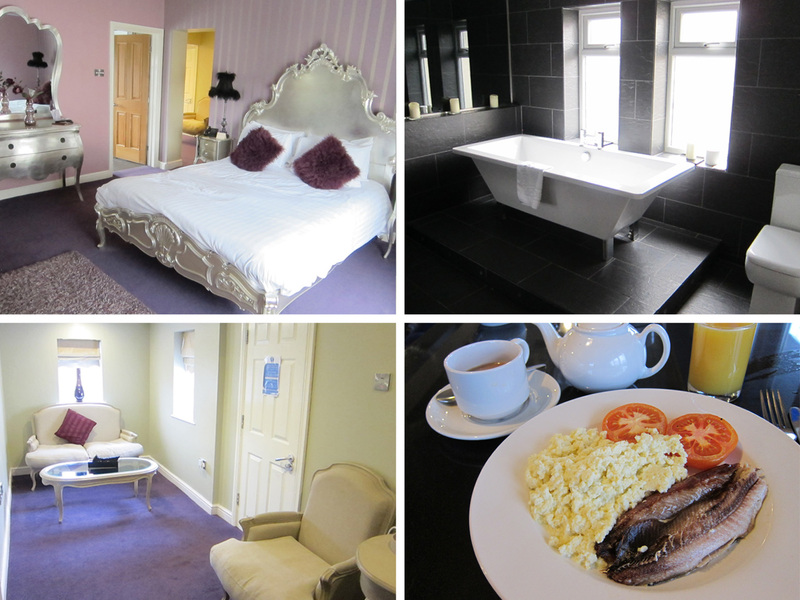 If the Meadow Suite is available I highly recommend it, as it can add a tongue-n-cheek touch of glamour to your stay. 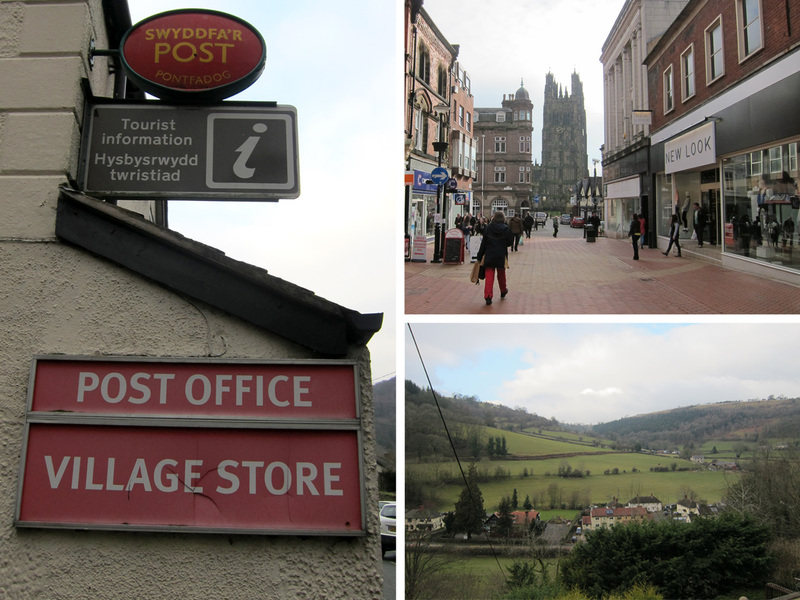 A venture into the scenic valleys is where you’ll find Cygnets Restauarant, a lovely family run restaurant whose entry, The Great Pontfadog Cygneture Burger, took ‘local’ to a unique level. The bacon topped on the burger was smoked in the local Chirk trout smokery using shavings from the oldest tree in Wales, The Pontfadog Oak, which had fallen in a storm in 2013. It’s a belly busting burger, but a comforting good one. They also did the best home-made chips. 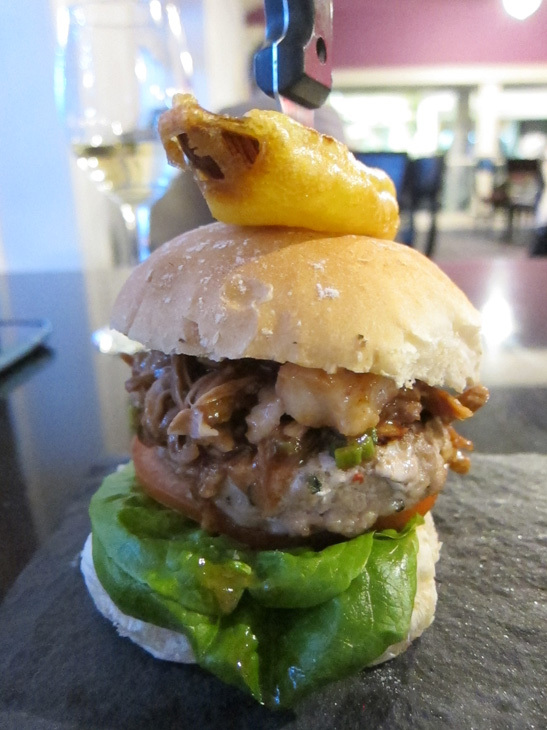 Least favourite was the The Alyn’s Welsh Hereford beef burger. It was vastly overcooked, which made the meat dry and lack lustre. On the plus, a side of beer battered onion rings were brilliantly crisp and light. 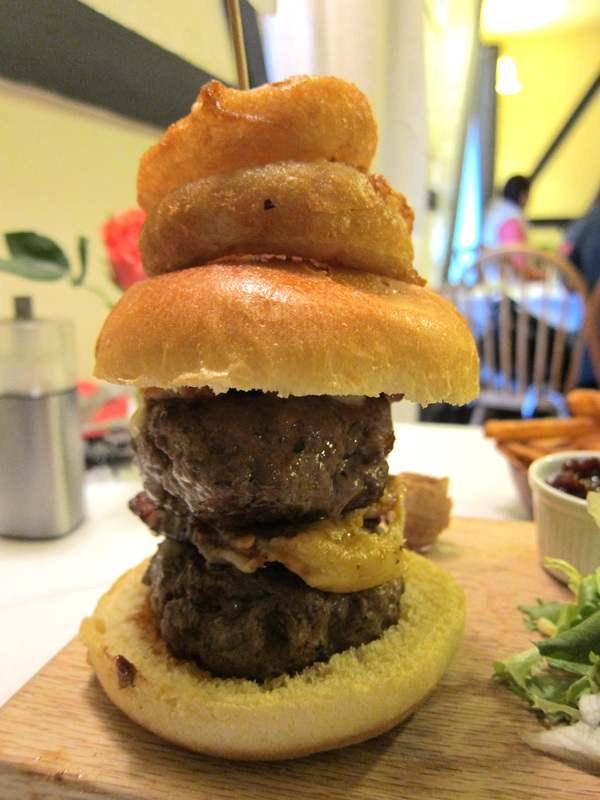 So, those are my views on some of the entries for the Wrexham Burger Challenge but the judging wasn’t up to me. Mystery shoppers, customer feedback and leading regional chefs all played their part in choosing the winner with presentation, innovation and taste being the deciding factors. 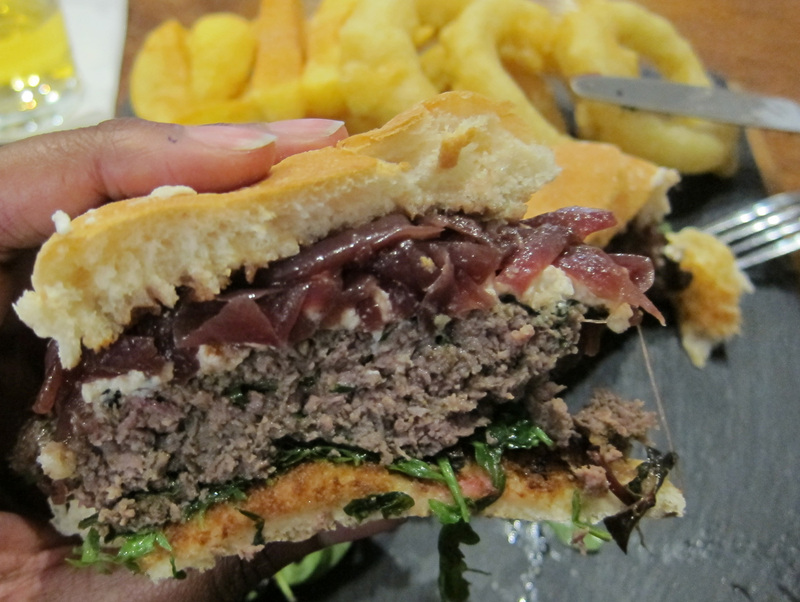 And crowned burger ‘king’ was The Royal Oak, with their Lewis farmed lamb and leek burger topped with Y Fenni cheese. Coming in an admiral third here too was the one I visited, Cygnets Munchies. More details of the finale can be found here. Some of the establishments will continue to provide their entry burger, so it is worth a visit. Food I Fancy went as guest of the Wrexham Burger Challenge. Many thanks to the organisers and to all the establishments visited.